Reason for being involved in workshop: I mentored at the 2018 event, and being involved in that workshop really boosted my confidence to then MC at ScotlandJS last Summer. I love attending meetups and conferences, and believe it's incredibly important that everyone has an opportunity for their voice to be heard. These workshops help to create those opportunities. About Evelyn: Software developer and trainer based in Edinburgh, UK. Community meetup and events organiser. Reason for being involved in workshop: I want to give back a little of the help and knowledge I've been given along the way. About Ceri: Technical Lead @Prudential. Reason for being involved in workshop: I want to enable more voices to be heard in our conferences and meetups so that they provide richer experiences and more inclusive environments. About Simon: Simon is Microsoft's C++ Developer Advocate, where they work on improving our communities and making developers live's easier. They speak at C++ conferences around the world and contribute to the standard. Outside of work, they co-organise #include<cpp> -- a diversity and inclusion initiative for C++ -- and the Edinburgh C++ user group. Reason for being involved in workshop: I would like to help more diverse voices to share their experiences and expertise at meetups and conferences. We have a lot to learn from you! Speaking at those types of events has created many career opportunities for me over the years, and I would like other people from underrepresented groups in the industry to benefit from those valuable networking opportunities. About Maria: Maria is Head of Engineering and co-site lead at Intercom London. Intercom provides customer communication software to Internet businesses. The company's mission is to make web business personal. Previous to Intercom, Maria was VP of Engineering at Edinburgh-based FreeAgent, one of the UK’s most popular online accounting software providers. With 17 years of experience in the software industry, Maria has previously also worked at LivingSocial leading globally distributed teams, and at Adobe where she worked in the developer technologies group. Maria is one of the Directors of the WomenWhoCode Edinburgh network. WomenWhoCode is a global non-profit dedicated to inspiring women to excel in technology careers. Reason for being involved in workshop: I'd love to help get more people from a range of backgrounds speaking at all kinds of events. The broader the range of folk who are talking, the more we can all learn. About James: James current works at FreeAgent, attempting to help make the sometimes unapproachable world of accounting accessible to small businesses. One of the things he does in his offtime is organise the Scottish Ruby User's Group, a monthly gathering of folk who talk about programming related things. Reason for being involved in workshop: I would like to be involved because I feel people must be able to speak-up irrespective of their background about their stories, achievements, their challenges and how they overcame those challenges so that their stories will inspire others who aspire to achieve what they have achieved or more. However, many who come from different backgrounds don’t speak up because of the unspoken norms either factual or imaginary. I come from a background which have challenged my outlook many helped me overcome my fears, insecurities and challenges. I am paying them back in a way by doing exactly what they help me with. We all know it is not about what you say it is about how you say it so that people listen. That’s exactly what I would like to help my fellow speakers with. 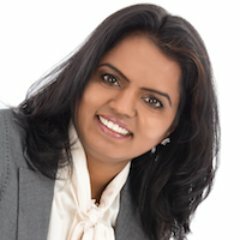 About Sudha: Sudha is a seasoned professional with over 23 years of experience as IT Business Consultant, Coach and Business Tech Speaker who works with entrepreneurs, and small business owners who want to get comfortable with technology. As leadership & mindset coach, she coaches women entrepreneurs, executives and leaders to unleash their style with integrity when they speak, run their business or present themselves. Her system L.U.C.K.™ helps you to design your personal brand as if you are born in/with it. Sudha actively coaches and mentors the start-up leadership if investors saw potential in the start-up since the year 2005. Sudha is passionate about Women Empowerment, Women in STEM careers and Youth Leadership. She is passionate about natural way of dealing with situations instead of using medications to deal with business issues. Sudha practices yoga, meditation, Reiki, EFT, crystals, Ayurvedic recipes to keep herself healthy both emotionally and physically as she comes a family who are big on the holistic healing modalities. Reason for being involved in workshop: It's such a brave and scary thing to do to give your first public talk, but it feels amazing afterwards! I want to help people feel amazing when they step off the stage for the first time. 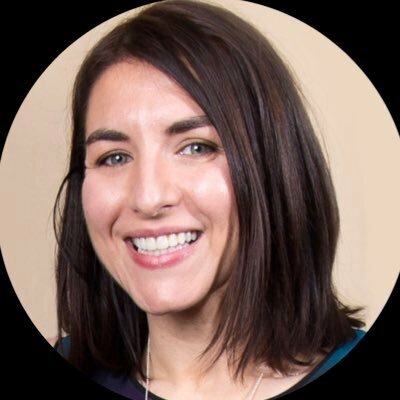 About Danae: Danae Shell is Chief Marketing Officer at Care Sourcer, who are transforming the care industry by connecting seekers and providers online. Danae is originally from Tennessee and emigrated to Scotland to pursue a career in e-government, working on the Scottish Parliament's original e-petitioning system. Danae has worked as a programmer, web designer, researcher and online publisher before joining tech company FreeAgent as Head of Awareness, where she built the content and awareness functions. After FreeAgent she joined Care Sourcer as Head of Marketing and is working with the team to help tackle the growing need for care in an ageing population, one of the biggest problems of our time. The closest bus stops are on Fountainbridge, though the top of Lothian Road is not far away either. The closest train station is Haymarket. There are parking lot arms at the entrance way. You obtain your ticket on entry and pay before you leave. There are pay stations on each floor. A member of the Edinburgh team will be waiting in the reception area to guide you to the event space. From the road, it looks like the door to the venue may only be stair accessible. However, if you head up the cobbles towards the canal and away from the road, you'll find the ground slopes up. This allows step free access to the building. There is a specified quiet room, which is a small meeting room with a door. There are windows in the room that look out along the Union canal. It is around the corner from the main workshop space. Lunch and drinks will be provided. Please let us know of any dietary requirements.